If you&apos;ve never had a tangelo before, you need to try one....soon! These sweet, flavorful, juicy citrus fruits are a favorite of Floridians in the know. The Orlando comes into season early (in November) and is available for a longer time than its fleeting cousin, the Honeybell. If you need deluxe eating citrus that will arrive for Christmas, choose a gift basket of Orlandos. At first glance, the large Orlando Tangelo might look like an orange, but its shape is more like a large, plump tangerine. It varies in color from a light to medium orange. It doesn&apos;t have the funny little “bell” at the top that the Honeybell does. These tender-sweet tangelos are a joy to eat, with a flavor that&apos;s tangerine-like but sweeter and more honey-fragrant. The Orlando is super-juicy like all tangelos, but a little bit firmer than the Honeybell. It&apos;s a funny thing about Orlando Tangelos - the number of seeds you&apos;re going to find in one can	vary from 0 to more than 20! There&apos;s a very good reason for this that you can read about in Interesting Facts, below. Want a great eating and snacking citrus? Buy Tangelos! They were specifically created by citrus experts for eating out of hand. Although the Orlando is just a tad harder to peel than the Honeybell, we don&apos;t think you&apos;ll find it much of a challenge. If you like, lightly score the peel in 4 “quarters” longitudinally before “unwrapping” an Orlando. The Orlando has a nice long season and is available from November through February. If you&apos;re a Honeybell fan but you&apos;re waiting around for January and feeling impatient, the Orlando is what you&apos;re looking to buy! The number of seeds you find in an Orlando Tangelo depends on whether and how much the tree has been visited by bees carrying pollen from other kinds of citrus trees! That&apos;s right ­ when bees come in and transfer pollen from other varieties onto the flowers of the semi-seedless Orlando, it can increase the number of seeds the fruit eventually has. You might think the solution would be to isolate the Orlando and protect it from bees carrying pollen from seedy citrus, but this isn&apos;t the answer! The Orlando benefits from this cross-pollination in other ways - it increases the amount of fruit the trees bear. 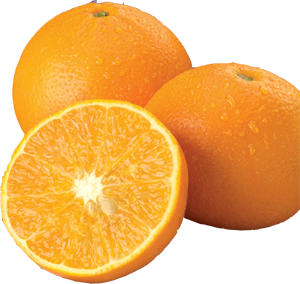 The Orlando is a hybrid of the Dancy tangerine and the Duncan grapefruit, although it may be hard to detect much grapefruit tang. It actually has the same “parents” as the Honeybell, but due to the complexities of citrus breeding, it has somewhat different characteristics. The Orlando was created in 1911 by W. T. Swingle, a botanist and citrus breeder.